Lemon eucalyptus essential oil is obtained from the fragrant leaves of the Eucalyptus citriodora tree, and this oil is known in aromatherapy by both its botanical name, and as lemon eucalyptus. 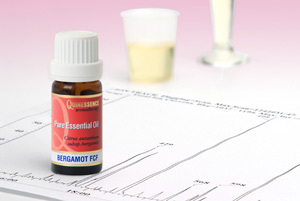 Although this essential oil is not as popular in aromatherapy as the ubiquitous Eucalyptus globulus, it is fast growing in reputation due to its powerful bactericidal and insect repellent properties. Eucalyptus citriodora is one of the most popular eucalyptus trees grown throughout Melbourne in Australia, which is its native country. This species is believed to have originated from a restricted area of Queensland on the Tropic of Capricorn, and is now found growing throughout the world’s tropical climates. Commonly known as the lemon scented gum tree in its native country, lemon eucalyptus is a fast-growing stately evergreen growing 25 to 40 metres high, sometimes reaching 50 metres (165 ft) when growing wild. It has a variable form but typically presents a sparse, pendulous crown of narrow lanceolate leaves that are strongly lemon-scented. The usually smooth, pale-grey trunk turns salmon-pinkish prior to its annual shedding and develops a powdery bark that peels off in thin irregular patches or curling flakes, becoming mottled and exposing a whitish or faintly bluish inner layer that appears dimpled. Eucalyptus is derived from the Greek words eu and kaluptos which mean ‘well covered’ and refers to the cup-like membrane which covers the stamens before they emerge as fully developed flowers. The epithet citriodora is derived from the Latin citriodorus which means lemon-scented. Although large quantities of lemon eucalyptus essential oil were distilled in Queensland during the 1950’s and 1960’s, very little of this oil is produced in Australia today. The largest producing countries are now Brazil, China and India, with smaller quantities originating from South Africa, Guatemala, Madagascar, Morocco and Russia. 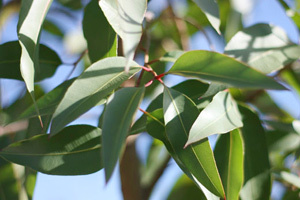 All species of eucalyptus leaves have been used in traditional Aboriginal bush medicine for thousands of years. Infusions made of lemon eucalyptus leaves were taken internally to reduce fevers and ease gastric conditions, and applied externally as a wash for the analgesic, anti-fungal and anti-inflammatory properties. Aborigines would make leaves into a poultice and apply them to ease joint pain and speed up the healing of cuts, skin conditions, wounds and infections. Respiratory infections, colds and sinus congestion were treated by inhaling the vapours of steamed leaves, and to treat rheumatism the leaves were made into beds or used in steam pits heated by fire. 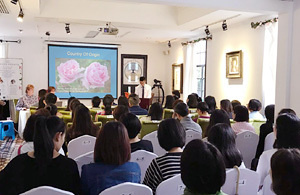 The therapeutic qualities of the leaves and its essential oil were eventually introduced and integrated into many traditional medicine systems, including Chinese, Indian Ayurvedic and Greco-European. In Brazil, leaf harvesting may take place twice a year, whereas most of the oil produced in India comes from smallholders who harvest leaves at irregular times, mostly depending on convenience, demand, and oil trading prices. After collection, the leaves, stems and twigs are sometimes chipped before quickly loading into the still for extraction by steam distillation. Processing takes approximately 1.25 hours and delivers a yield of 1.0% to 1.5% of a colourless to pale straw coloured essential oil. The odour is very fresh, lemon-citrus and somewhat reminiscent of citronella oil (Cymbopogon nardus), due to the fact that both oils contain high levels of the monoterpene aldehyde, citronellal. Lemon eucalyptus essential oil is powerful fungicidal and bactericidal, and a valuable asset when treating athletes foot. It is also effective against a wide range of respiratory conditions such as asthma, sinusitis, phlegm, coughs and colds, as well easing sore throats and laryngitis. Vaporized, lemon eucalyptus oil has a reviving and refreshing action that uplifts, yet is also calming to the mind. It also makes an excellent insect repellent and can be used alone or in blends with other respected insect repellent essential oils such as citronella, lemongrass, cedar atlas etc. It is a powerful fungicidal and bactericidal that has been scientifically evaluated many times against a wide range of organisms. In 2007, the antibacterial activity of Lemon eucalyptus essential oil was tested against a battery of clinically important bacterial strains at the Phytochemical Pharmacological and Microbiological Laboratory in India, and was found to be highly active against Alcaligenes fecalis and Proteus mirabilis, and active against Staphylococcus aureus, Escherichia coli, Proteus vulgaris, Salmonella typhimurium, Enterobacter aerogenes, Pseudomonas testosterone, Bacillus cereus, and Citrobacter freundii. 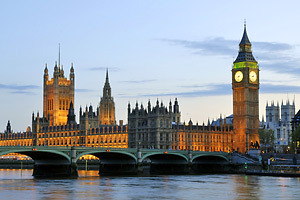 Its efficacy was found to be comparable to the antibiotics Piperacillin and Amikacin. Lemon-scented eucalyptus oil is a top note and blends well with basil, cedarwood virginian, clary sage, coriander, juniper berry, lavender, marjoram, melissa, peppermint, pine, rosemary, thyme and vetiver. In natural perfumery it can be used successfully to add a fresh, slightly citrusy-floral top note to blends, but use it sparingly as it is very diffusive and easily dominates in blends. 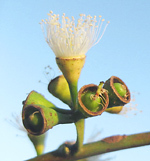 Oil of lemon eucalyptus is used as a fragrance component in cheap perfumes, detergents, soaps, and insect repellents. 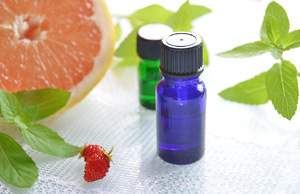 The essential oil is also used for the isolation of natural citronellal which is used as a fragrance ingredient. 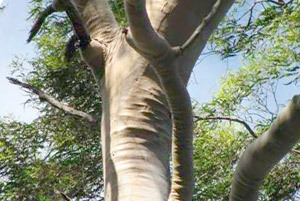 Every year the smooth grey bark of Eucalyptus citriodora shown in the top picture begins to turn a sort of salmon-pinkish colour, gradually becoming a darker brown. 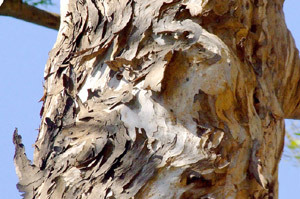 Eventually, the bark becomes dry and brittle with curling flakes, and begins shedding leaving paler patches as shown above. The secret to getting the best possible results in aromatherapy is to be certain you are using the very highest quality, pure essential oils that were sourced from the best growing regions.